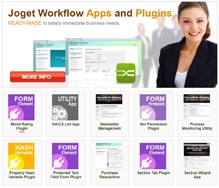 Joget enterprise support services provide direct access to our engineers who are ready to assist you in the design, development, deployment, and management of workflow apps on Joget Workflow. Please feel free to contact us for further information. What product and version are you running? The availability of diagnostic information, such as sample apps, screen shots, system log files, traces, and data dumps, will often help our support engineers pinpoint the cause of an error. Please provide as much of this information as possible. When submitting a case, please assign an appropriate priority. This will help us understand the impact of the problem on your organization so we can prioritize and respond appropriately. You may submit your request for assistance by logging into http://dev.joget.org. This method of submission ensures the accuracy of the information you submit and allows for complete tracking of the case, with related comments and attachments. All cases submitted to Enterprise Support are logged into our issue tracking system. Once logged, they are assigned a unique number and routed to a Support Engineer. This number can be used to reference your case through our support web site. The assigned Support Engineer will research your issue and respond with advice or additional questions to resolve your problem as quickly as possible. Our support team will often work together and with members of the Product team to resolve your issue. If at any time, you feel that you are not receiving a level of service that meets your expectations, you may ask to have your case escalated or ask to be contacted by Enterprise Support Management. Any customer requested escalation receives direct management attention and consideration. Enterprise Support is committed to ensuring that you receive the quality support necessary to be successful. Joget supports major versions for two years after the last minor release of that version was released (for example, we support Joget Workflow 3.X for 2 years after Joget Workflow 3.1 was released). This policy excludes maintenance builds and security patch release.